Boise, ID (January 4, 2016) . . . Today, the American Wild Horse Preservation Campaign (AWHPC), The Cloud Foundation, Return to Freedom, and Virginia Marie Hudson filed a lawsuit in the Idaho District Court today against the Bureau of Land Management (BLM), charging that the agency’s plan to permanently sterilize the entire herd of wild horses in the Saylor Creek Herd Management Area (HMA) violates the Wild Free-Roaming Horses and Burros Act of 1971 (“Wild Horse Act”) and the National Environmental Policy Act (NEPA). The sterilization plan was approved as part of the BLM’s Jarbidge Resource Management Plan (RMP), which was finalized on September 2, 2015. The BLM’s plan to sterilize the Saylor Creek wild horses also harms the interests of American citizens, here represented by Virginia Marie Hudson, as castrating and spaying the entire herd would impair the public’s ability to enjoy and observe the wild horses’ natural social behaviors. 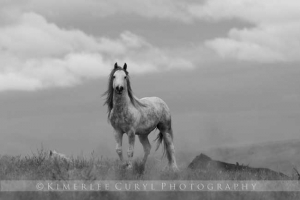 The complaint charges that the BLM, through its Jarbidge RMP, authorized the precedent-setting drastic action of removing and sterilizing all the wild horses in the 95,000-acre Saylor Creek HMA without presenting evidence of any damage to the range caused by the Saylor Creek herd and without making a determination that “excess” horses are present, as required by law. Additionally, the BLM failed entirely to analyze significant impacts that this action will have on individual horses and the herd as a whole. 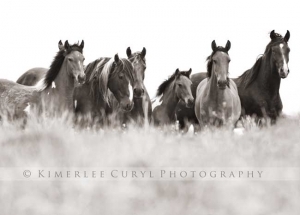 Return to Freedom (RTF) is a national non-profit dedicated to wild horse preservation through sanctuary, advocacy, education and conservation, and also operates the American Wild Horse Sanctuary in Lompoc, CA. It is also AWHPC’s founding organization. Virginia Marie Hudson is a private citizen and mustang owner who enjoys visiting federally-protected wild horse herds in Herd Management Areas throughout the West, including Saylor Creek. The plaintiffs in this case are being represented by Nick Lawton and William S. Eubanks II of Meyer Glitzenstein & Eubanks, LLP.